I write dog portraits and paint book reviews in Chicago, Illinois. You can see more of my work than anyone would ever want to at http://dmitrysamarov.com. Medallions up for grabs. 80% off? Wait, so taxis are getting a 2.50 fee, and Ubers a 2.75 fee. I mean, it's pretty egalitarian is it not? I don't see how this puts taxis at a disadvantage. I guess they are trying to lobby for being exempt from it. 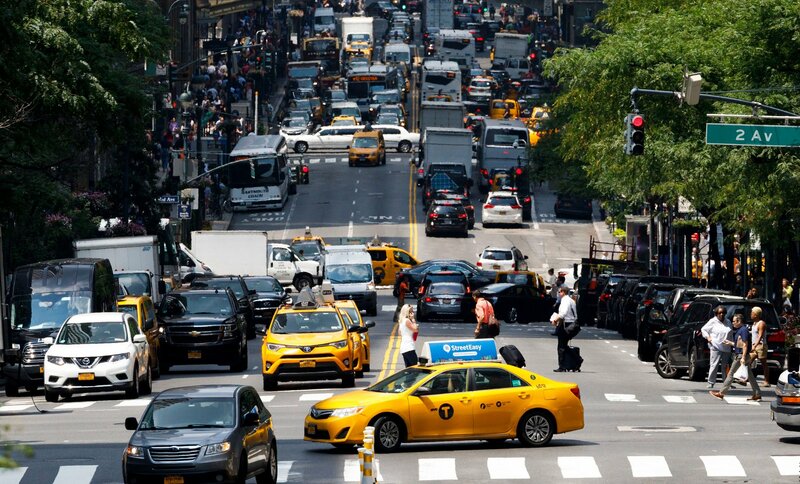 Traffic in NYC has definitely gotten considerably worse since Uber took off. No question about it. I have wondered whether a congenstion charge like London has could ever work in a US city, and I think it would be tough. So maybe this is the answer, to just surcharge rideshares instead. Should taxis be included? I don't know. That's a tough one. I think they have reason to complain about it but I doubt it will make any difference. In the lawsuit, taxi owners and drivers also claim that they should not be charged a so-called “congestion tax” because their numbers have been capped by city law at 13,587 “to prevent an overabundance of cars and congestion,” even as Uber and other ride-app services had been allowed until recently to expand exponentially. When they put it like that it does seem pretty unfair. That taxi industry is really hamstrung in places like this. The $2.50 fee will raise the minimum taxi fare to $5.80 — which is still lower than an Uber ride. The cost for Uber, which has an $8 base fare in Manhattan, will rise to a minimum of $10.75, including the new $2.75 fee. Amazing that taxis are still cheaper than Uber in NYC. What an unusual place. And more convenient if we're being honest. You can hail a cab in like 2 seconds in most of Manhattan. Uber is convenient, but not that convenient. The MTA has been cooking the books for years and is terribly mismanaged. the best thing to do is to privatize the buses as a start but of course they won't allow that because they'll be less under the table $$$$ to go around. Surcharge this !!! I can't read the article. Can someone please summarize it for me?